Since all of our devices have a finite amount of storage, and probably always will, people are turning to external hard disk drives to store everything from documents to pictures, videos, and even movies. External hard disk drives (HDD) are an easy solution to the storage problem that is plaguing our ever-increasing technological society. Ease of Use: One of the main benefits of buying an external hard disk drive is that they are super easy to use. Most of them are USB powered, so all you have to do is plug it into your computer, and you are good to go. Others that are not USB powered aren't really any more complicated. With those, you just have to plug it into the wall and then your computer, and it is ready to use. External Hard Drives are Affordable: Most hard disk drives are not that expensive. Compared to your other type of external hard drive, a solid state drive, they can be hundreds of dollars cheaper. Especially once you start getting up into the ones with lots of storage, solid state drives can be double, sometimes even triple the price of hard disk drives. Fortunately, hard disk drives can be purchased on almost any budget. High Capacity Storage: Most laptops don’t even have 1 TB of storage. However, you can get external hard drives with 4 and even 8 TB of storage. Of course, there are smaller options. You can find external hard drives with 1 TB, or 500 GB if you prefer. I always recommend getting one with at least 1 TB of storage. It may be a little more expensive than a 500 GB one, but still, you can get it under 100$, and it is worth it. The 1TB is a great option for students, who need to backup lessons, notes, assignments, and projects. If you are planning on saving very large amounts of stuff, however, I would recommend going with one with more storage, like 4 TB, just to be on the safe side. Data Security: So many people think they don’t need an external hard drive because they don’t think they are vulnerable to crash. It is often that same train of thought that leads to crashes. As you continue to save more and more directly on your computer, it will start running out of space, and then it will start running slower. Eventually, it will crash, potentially erasing all of your precious documents and pictures. With external hard drives, you can back up your files and keep them secure on a hard drive. It will also extend the life of your computer since it won't be overloaded with files. External Hard Drive Speed: Before you buy an external HDD, you will want to consider how fast it is when it comes to reading and writing files. When it comes to speed, external HDDs are either USB 2.0, eSATA, or USB 3.0. The USB 2.0 port is the slowest one, and USB 3.0 is much faster. Nowadays almost all external hard drives are being made with USB 3.0 connectivity. Protection & Encryption - Data Safety: If you have sensitive files that you want to protect, you will want to look for an external HDD that is password protected or encrypted. An external hard drive with no password or encryption is just like a bucket, holding all of your private pictures and documents. However, an external hard drive with some protection is more like keeping your files safe. If someone were to get a hold of it, it would be very easy to steal all of your files if it is not protected. Fortunately, a lot of external hard drives have a password protection option. External Hard Drive Size: Obviously, their high capacity ability is a huge advantage, but it is also something you will want to think about before making a final decision. Like I said earlier, a student will probably have enough storage space if they went with a basic 1TB external hard drive. You will need to think about what you will be using your external hard drive for and go with whatever size you feel is appropriate. If you are not able to decide between 2 sizes, I would recommend going with the bigger size, better safe than sorry. Budget: Some of the features that come with your external hard drive will be contingent on what your budget is. Don’t get me wrong, you can find an external HDD that will get the job done on any budget, but you will probably be able to get more bells and whistles if you are willing to spend a little more money. There is no need to spend more than you have or want to, though. If you think some of the features included are useless, or won't help you very much, then don’t get it. Make sure you get one that will suit your needs. If you own a Mac computer and are looking for an external hard drive to back your files up on, you might want to look for one with a FireWire connector. If you have a Mac you probably already know what this is. However, if you don't, it is a special adapter that only works with Mac computers. If you do not want to manually back all your files up, which can get tedious, I would recommend looking for an external HDD that has an auto backup option (included backup software). You can usually set up a schedule for the backups, whether it be daily, weekly, or monthly, and then they will be performed automatically. This is great for people who do not have time to manually back everything up, or people like myself, who just forget. My last piece of advice, while you are shopping is to take your time. 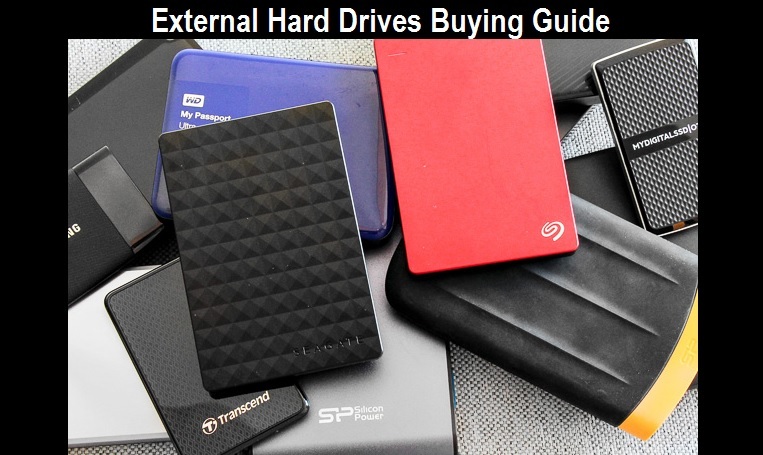 You will want to take your time finding the perfect external hard drive for you, don’t rush it, but once you find the perfect one you will want to act quickly for a couple of reasons. First, you wouldn’t want them selling out of the hard drive, forcing you to settle for a subpar one. Second, you want to backup all of your files as quick as you can. Each day you wait you are taking the risk of your computer's hard drive crashing and losing all of your files. Sure, you can take it to a retrieval service and pay possibly hundreds of dollars to retrieve your files, but these services do not always work, and then there is no way for you to get your stuff back. So the faster you back everything up, the better.